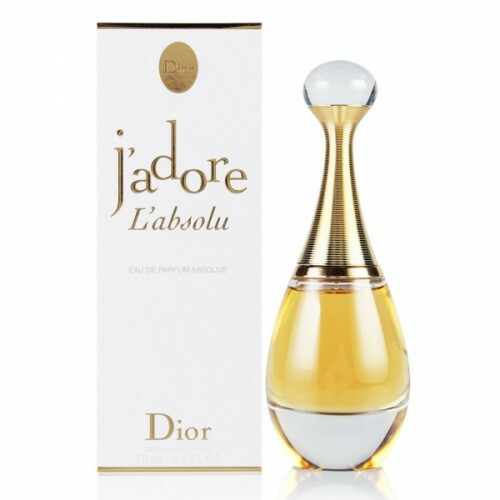 Christian Dior J'adore L'Absolu is ultra feminine, floral fragrance crystal clear. Christian Dior J'adore L'Absolu 75ml. Eau De Parfum is ultra feminine, floral fragrance crystal clear. Women literally her subject, because there perfectly combines simplicity with sophistication and exclusivity. Christian Dior J'adore L'Absolu is quite subtle scent, but certainly not one that will go unnoticed by your will complement, but not the only thing around registers. Also, the ingredients complement each other, form an integrated chord, where neither the smell is stronger than the other. Gentle impression of the fragrance is completed plums or blackberries. Christian Dior J'adore L'Absolu discovering new dimensions of women's emotions from joy to wear this scent on himself. The perfume is more sensual and personal in combination with the natural scent of your skin, and is formed on each woman unique original. 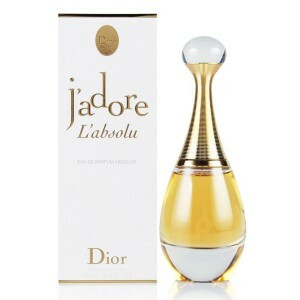 Say ye J'adore- "love" of the luxury fragrance of Christian Dior J'adore L'Absolu. Women's applied as: day, evening, romantic Families: floral, green Contains notes of musk, rose, jasmine, wood, orchid, ylang-ylang, tuberose, green, flower notes, plum, fruit is produced as eau de parfum Intense floral bouquet continuing glory of the classic flavor of the notorious Christian Dior J`Adore - open a new branch with spirits J`Adore L`Absolu by Christian Dior - symbolizing the revival of femininity and the power of immediate emotions of the modern woman. The composition reveals a beautiful bouquet of orchids, velvet damask shades of plum and warmth of wood amaranth. Sensual Christian Dior J`Adore L`Absolu - a unique interpretation of the original fragrance with enhanced floral notes of jasmine, rose, tuberose and ylang-ylang.